Diabetes may be a general health issue, but it can also affect oral health. Those with diabetes are more likely to suffer from gum disease, tooth loss, and oral infections, which is why dental care is especially important for diabetics. General dentistry treatments can help prevent dental damage and restore oral health, keeping smiles healthy and happy for years to come. To learn more about dental care for diabetics, including your treatments options, schedule a consultation with our Woodinville, WA practice, Signature Smiles. Dry mouth: Dry mouth, a result of reduced saliva production, is not only uncomfortable, but it can also increase the risk of oral health issues, like tooth decay, gum disease, and oral ulcers. Gum disease: Gum disease is caused by the bacteria found in plaque and tartar. The early stage of gum disease, known as gingivitis, is most easily recognized by bleeding gums when brushing and flossing. When gingivitis is left untreated, it can lead to periodontitis, the severe form of gum disease. Periodontitis is particularly dangerous to oral health because it can allow pockets to form between the gums and teeth, leading to decay below the gum line, gum recession, infection of the structures supporting the teeth, and tooth loss. Tooth decay: The combined risk of dry mouth and gum disease greatly increases the risk of tooth decay in diabetic patients. Tooth loss: Diabetics are also at increased risk of tooth loss, especially when oral health issues, like gum disease and tooth decay, go untreated. Oral thrush: Those with diabetes are more likely to develop oral thrush, or oral candidiasis. Oral thrush is a fungal infection that causes white lesions on the tongue, gums, inner cheeks, or roof of the mouth. Brush and floss routinely: Regularly brushing and flossing greatly reduces the risk of tooth decay and gum disease. Because diabetics are at increased risk of both, brushing at least twice a day and flossing at least once a day is a must. Use an antiseptic mouthwash: Those with diabetes can further reduce their risk of gum disease and other oral infections by rinsing with an antiseptic mouthwash after brushing and flossing. Rinse the mouth with water between brushings: Rinsing the mouth with water after eating and between brushings can help keep the teeth healthy. Water helps remove food debris and acids from the mouth; this is especially beneficial for dry mouth sufferers. Schedule regular dental exams and cleanings: Regular dental exams help catch the signs of oral health issues early, as well as prevent damage altogether, while professional cleanings reduce plaque and tartar buildup. See your dentist every six months to keep your smile healthy and vibrant. Keep diabetes under control: Keeping diabetes under control is important to both general and oral health. Maintain healthy blood sugar levels by seeing your primary care physician regularly, sticking to a diabetic friendly diet, and taking appropriate medications as directed by your doctor. 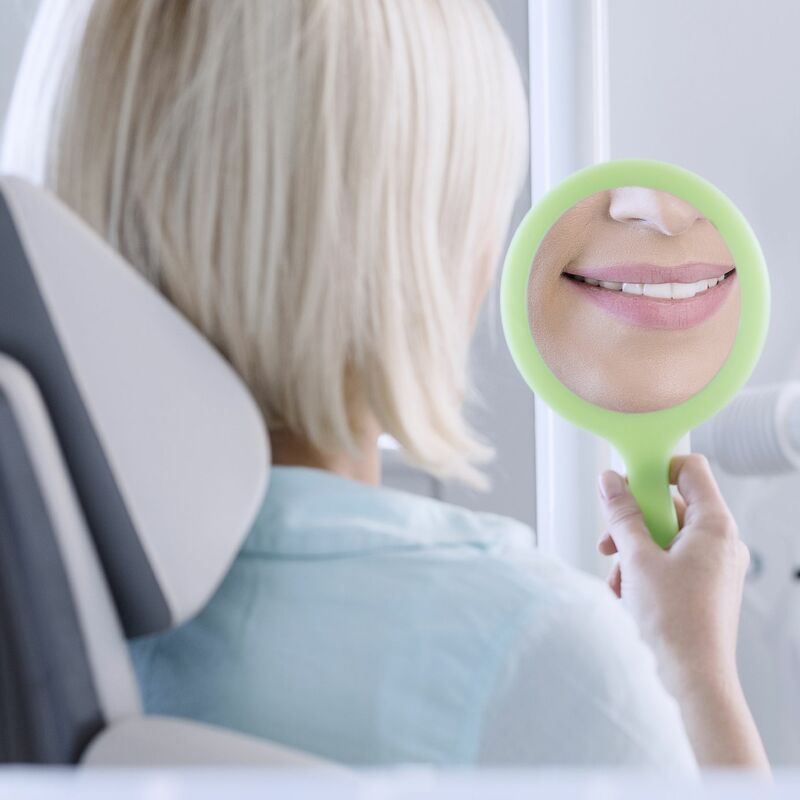 To discuss your treatment options, or to receive your personalized dental care tips, we invite you to schedule a consultation with Dr. Emmi and his team.